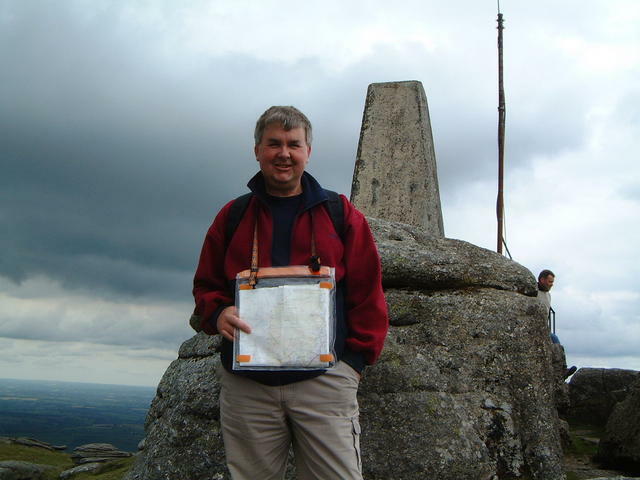 Is ranked joint 401st with 6 other trigs (more). Parked Meldon Reservoir car park. Followed tracks up. Marshy and rocky slopes towards the summit. 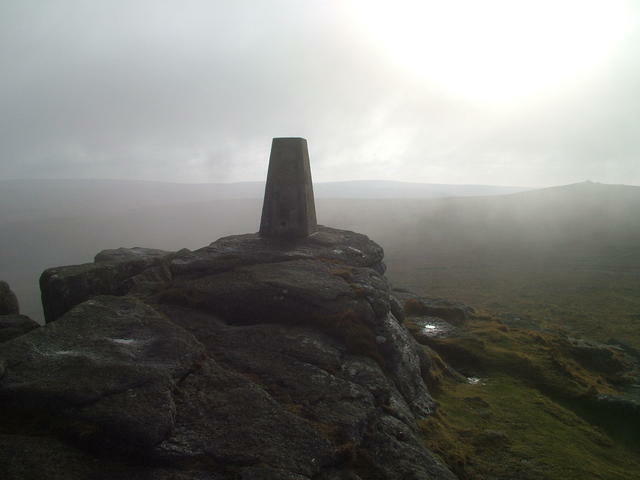 Not great views at trig but on our return back down the sun came out for good views. 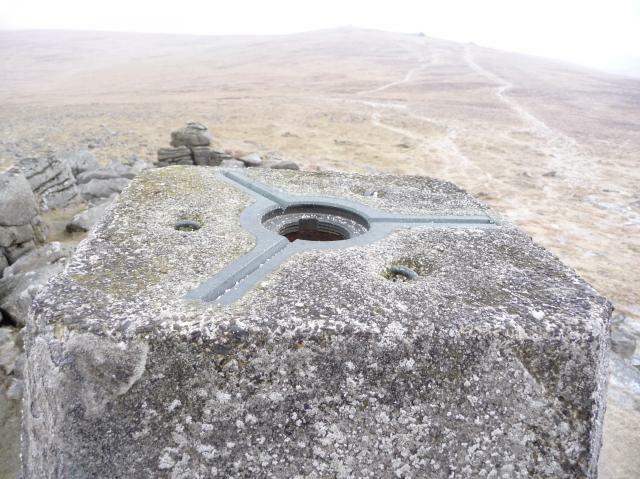 A rather windy walk up from Meldon Reservoir and low visibility from about the range boundary posts to the summit. A disappointing lack of views therefore. 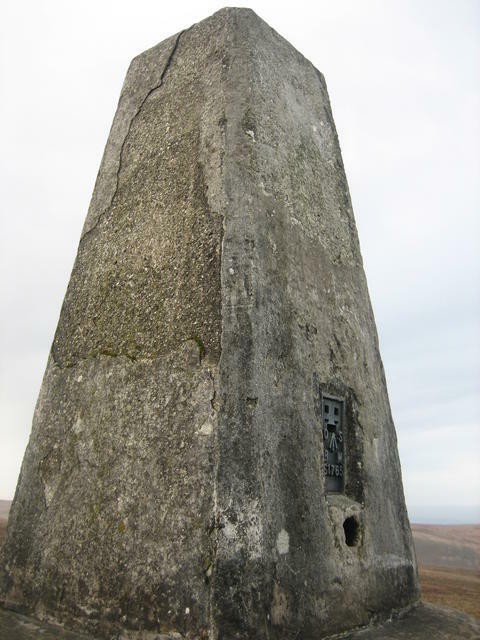 As I descended I met Nekyram on wind blasted Longstone Hill. 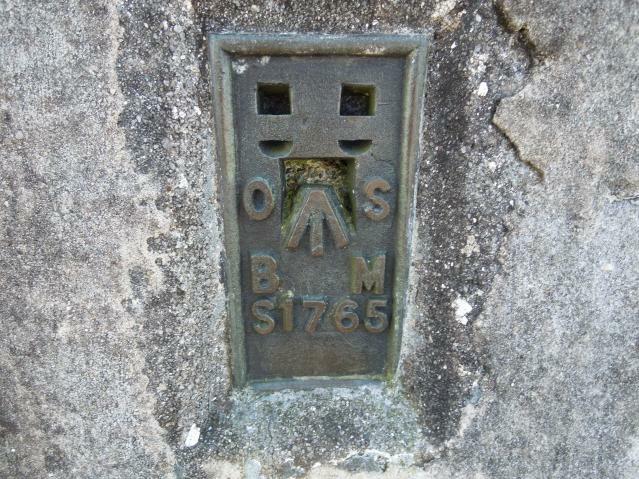 It's good to read that they made it to the tor OK. As a former Devon lad, self exiled over fifty years ago, it was with great satisfaction that I finally got here and also to High Willhays. Pleasant early spring afternoon to sit around here for an easy long while before even contemplating moving on, with Smudge. 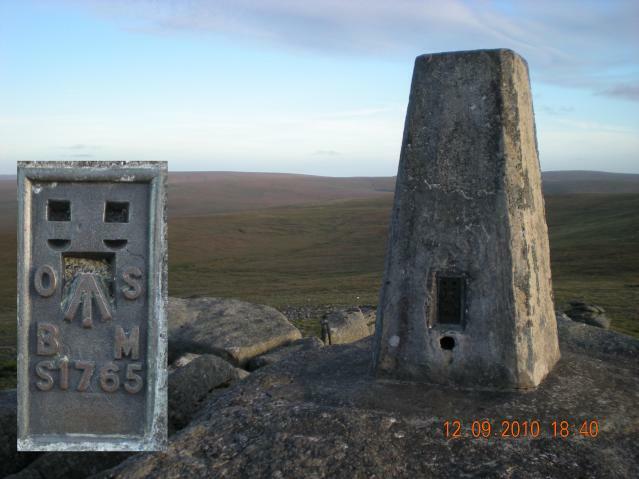 Visited with P61 and Brunshaw, amazing views great summit. 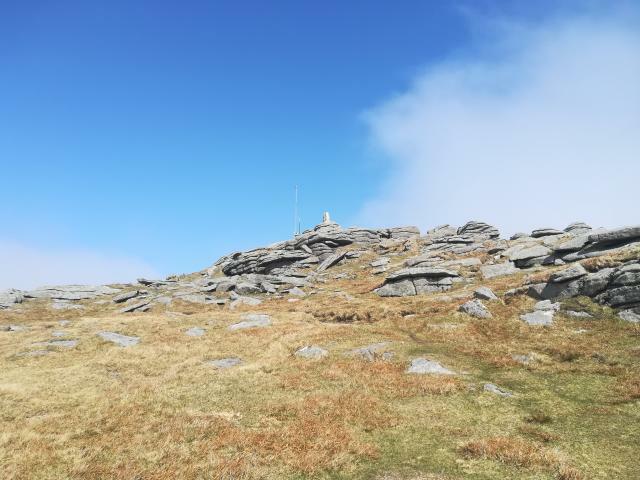 Trig in vgc sun clearing after mist stunning location and top walked to High Willhays first this was my last Hewitt 2000 ft mountain top no.180 . Superb. 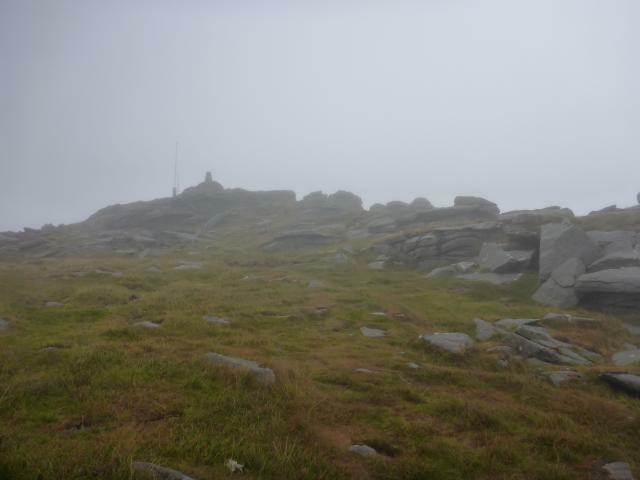 The mist cleared as I approached the top revealing an inversion with Great Links poking out above the mist. Parked in reservoir car park, found along good dry paths/moorland. Beautiful views, strong wind on top. Quite a high ranking in my experiences of potentially pointless and risky walks but what the heck it felt great later on once we and the camera had started to dry out. Strengthening winds making standing difficult - definitely a clamber up and hold tight. 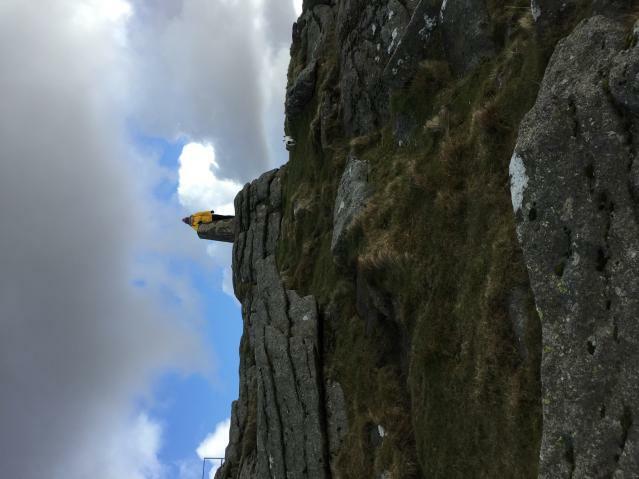 Worked out we'd already done the peak of Southern England mistakenly on the way to the tor instead of afterwards. Not sure whether I'd have found if more eerie without the cloud or not, worryingly warm and humid between the sharp squalls. What a view from here. 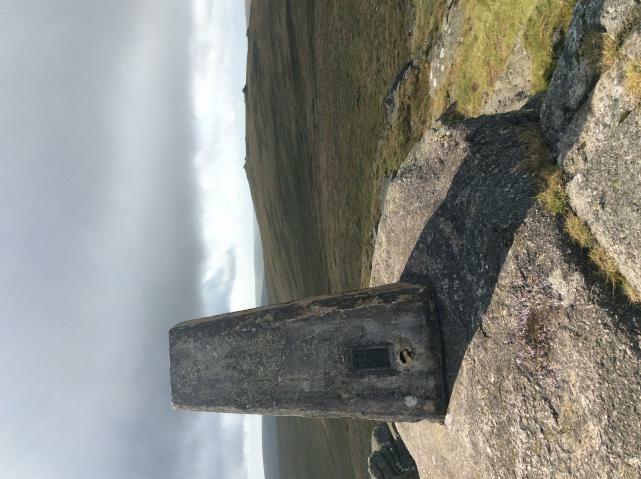 Highest trig pillar in Dartmoor and the second highest point at 619m with its neighbouring peak High Willhays being the loftiest at 621m. Bagged whilst on a wild camp night out. Wonderful! 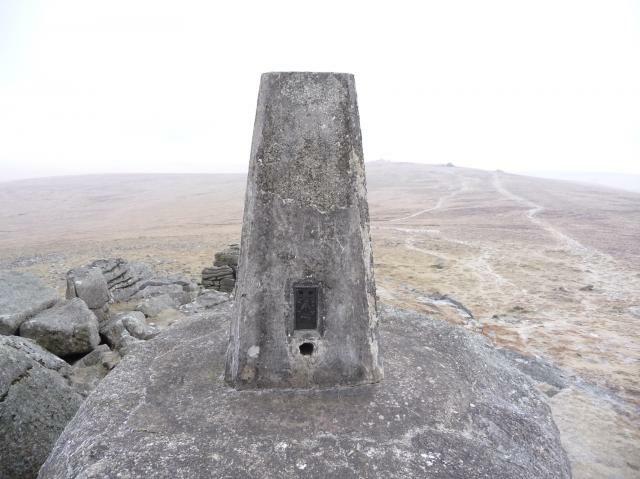 A truly wild and windy day on Dartmoor. 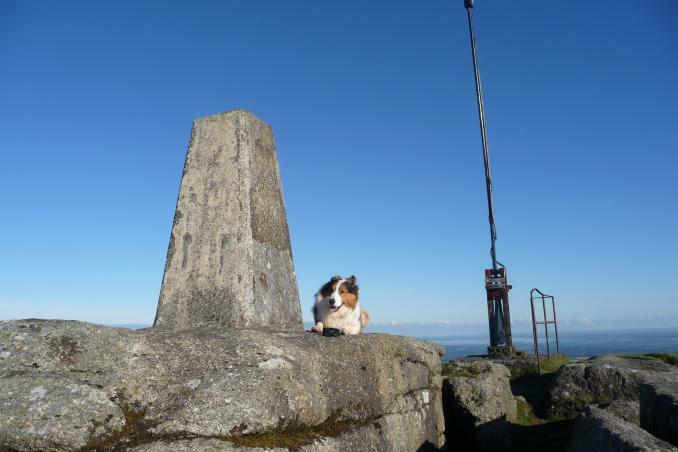 Could hardly stand on the top by the trig. 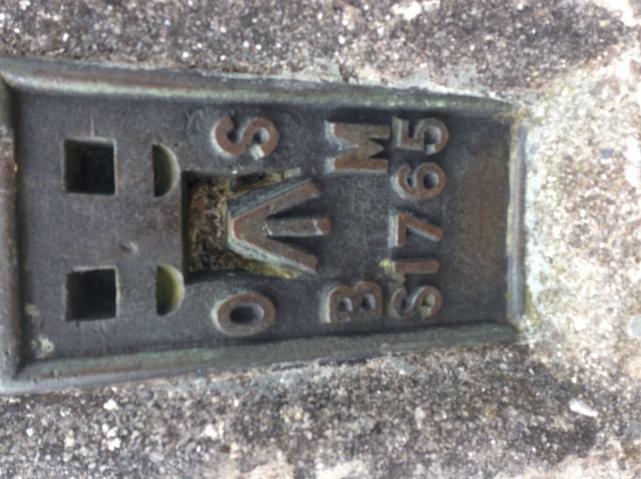 Hi all ,those coming after my visit please share my Devon Badge location if it's still in my hidden spot. 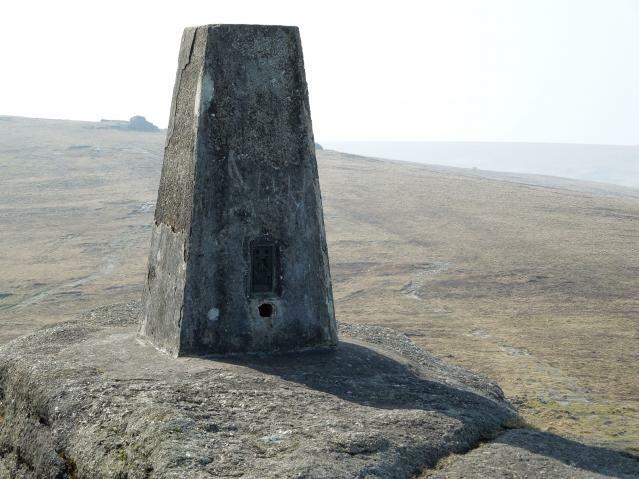 Arguably one of my favourite trigs. Have visited here before when I was younger, but logging my last visit, which was with the uni. 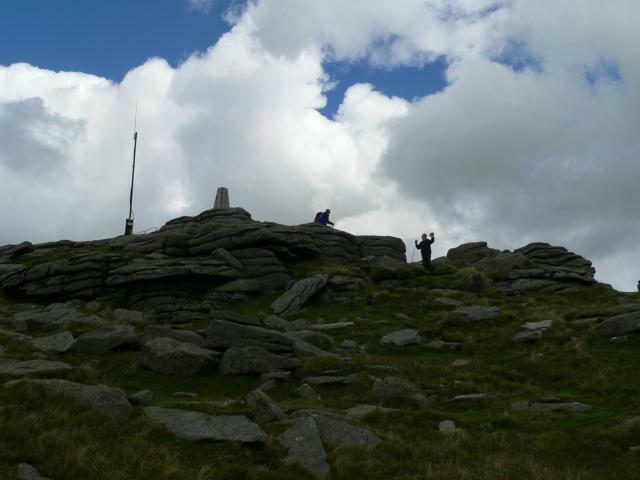 A fabulous but busy trig point location on dartmoor. Awesome views. 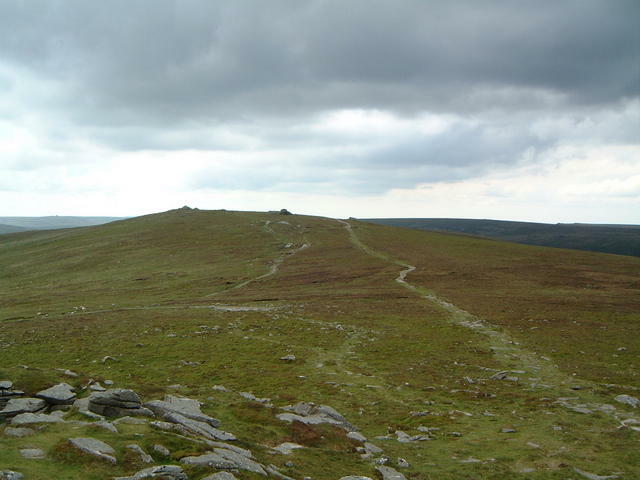 Had walked across from Great Links to get here before returning to Meldon Reservoir. 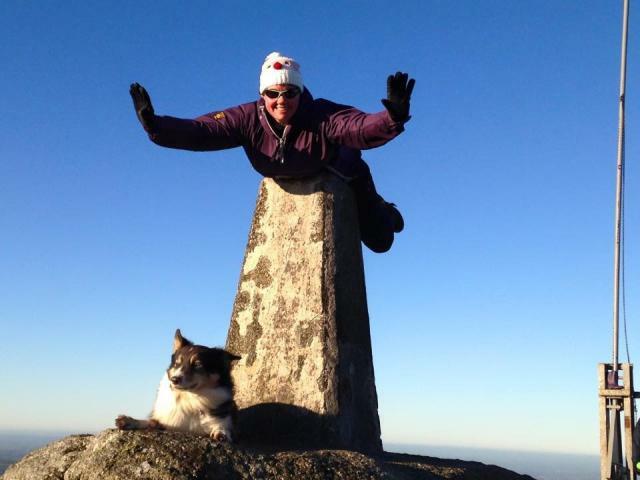 Very windy and a few strange looks as I "flew" the trig! 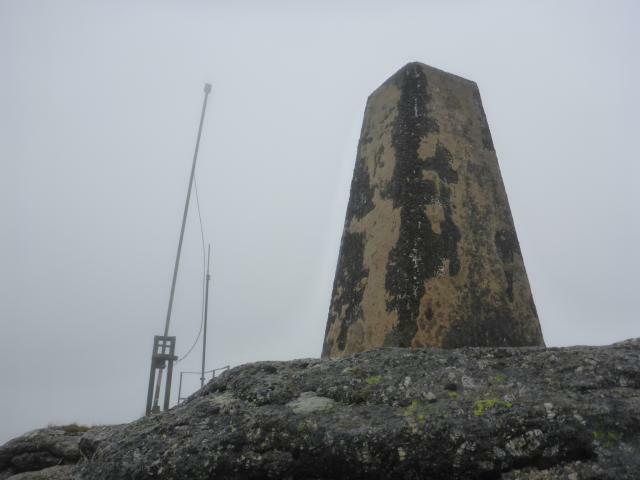 Short walk from SOTA summit High Williams G/SC001,fog early clearing on in morning. 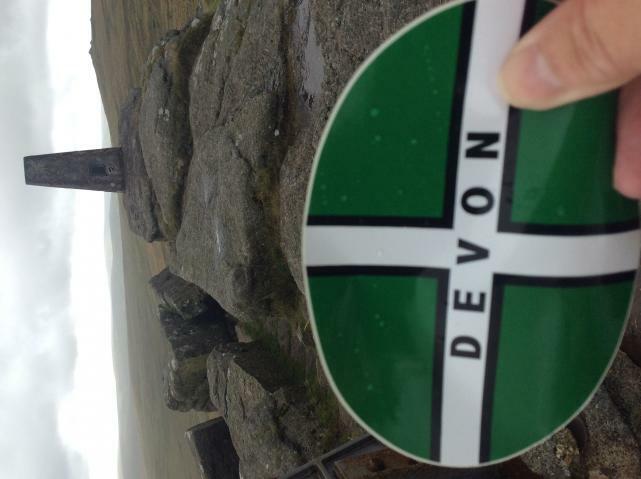 Devon is all downhill from here :D love coming up Yes Tor. 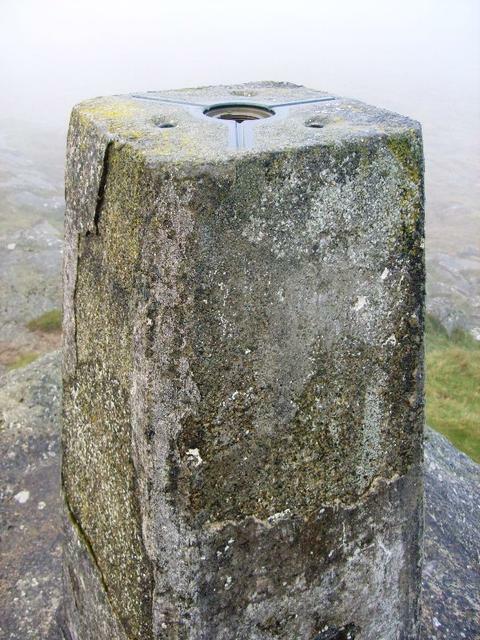 The top of the trig seems to be a little damaged. 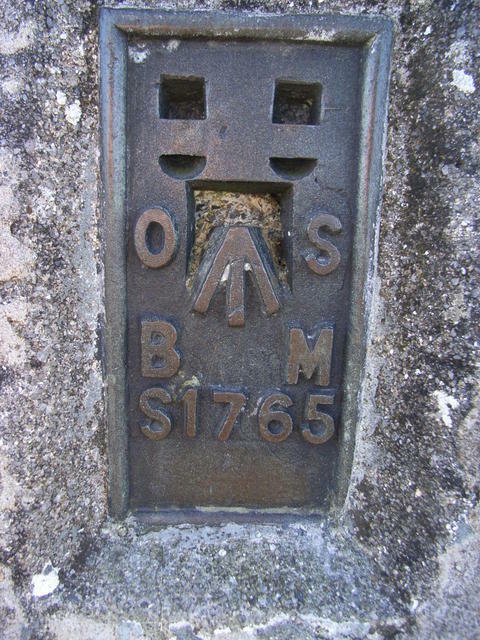 Long old slog from Bundu campsite on a good day for walking. Got very delayed by horrid, steep, gorse covered slope dropping down to the footbridge, but recovered to make reasonable time up to trig. 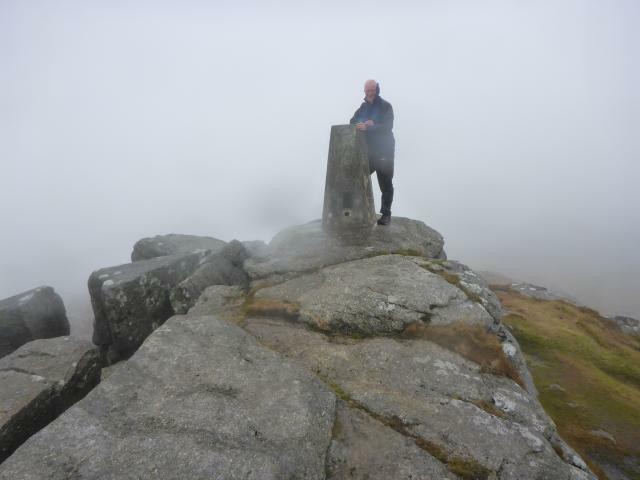 Views clearly spectacular but dimmed by poor vis. 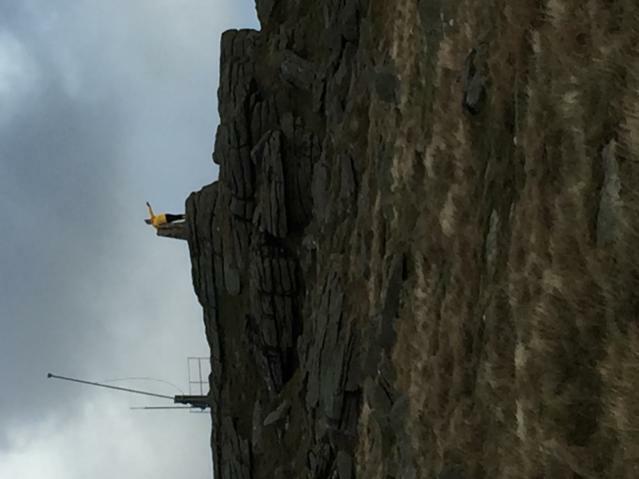 Surprised on summit by wasps that seemed to emanate from nest in trig!! Beat hasty retreat, then lunched and legged it back the way we came. Good yomp. 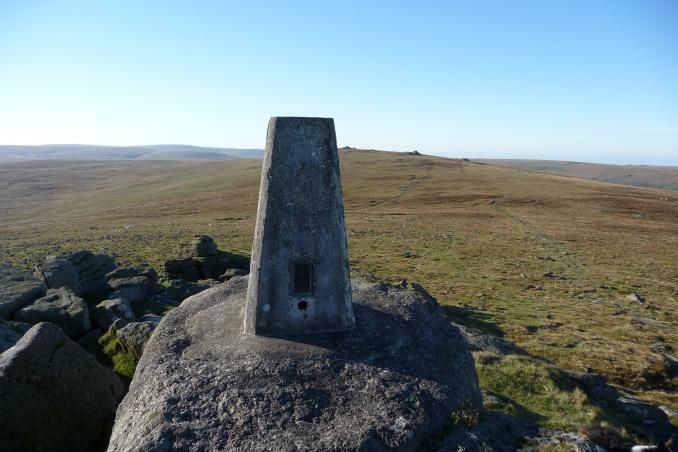 Great walk on Dartmoor, views and weather were good. 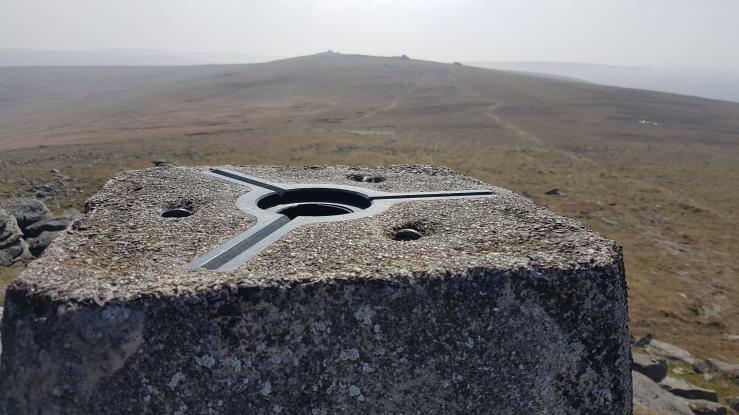 Been meaning to revisit this trig point on my local Dartmoor for some time so that I could log it on TPUK, and today in glorious sunshine Stockport Freebird and I were geocaching in the area - and I made sure we had our lunch stop at the base of this trig point! 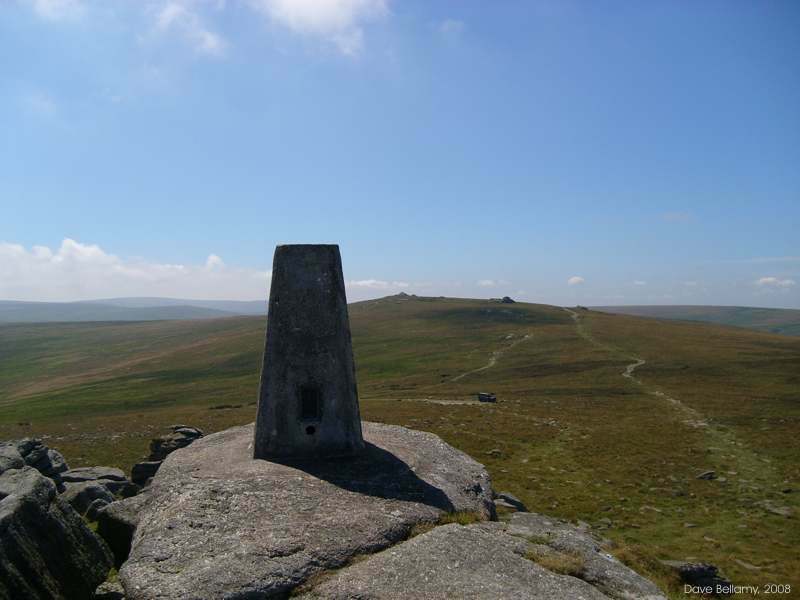 Superb weather = superb views in all directions = just beautiful, and highly recommended! Been here many, many times, but logging today.. Another visit 5-11-17 with Sarz..
Nice walk except for the rain ! from meldon res. 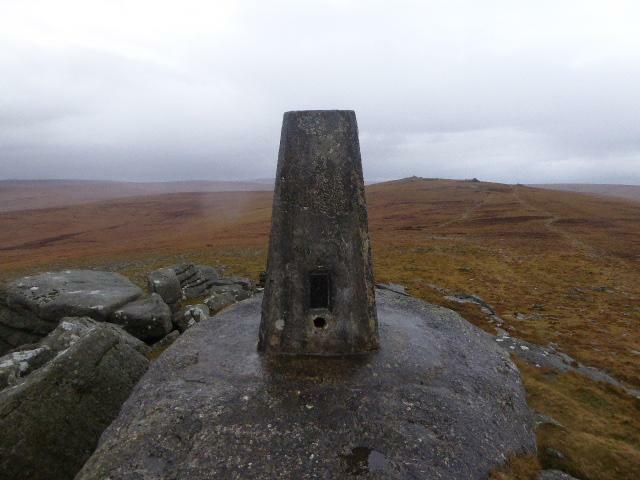 an easy if not slightly moist route up. fine viewpoint shame about the army stuff. 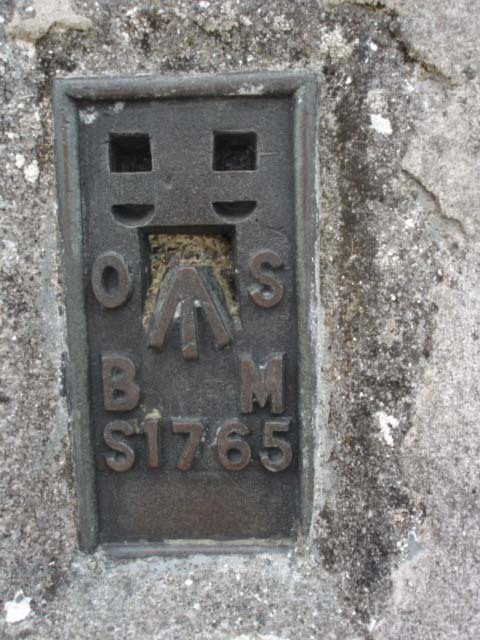 trig missing plug vmbut otherwise good condition. a bit windy but loads of places to get out of the wind. 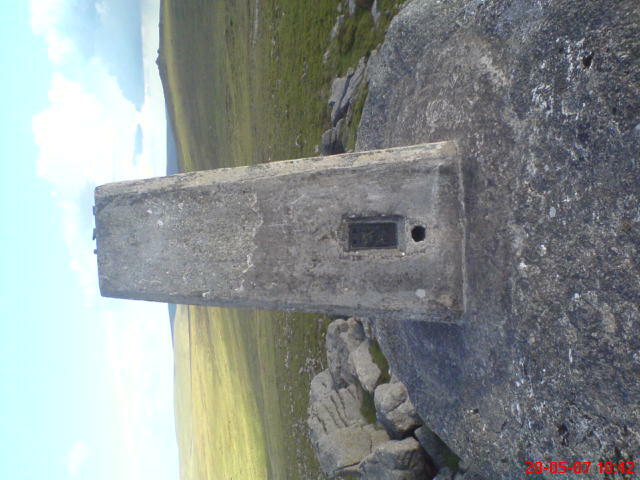 arrived after perambulation from princetown much terrain and sock changes on route. Go to High Willhays if there in anticipation of debate about which is higher. 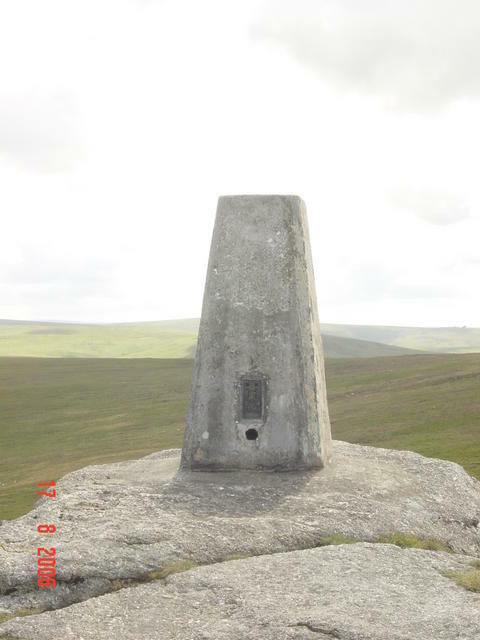 Parked at end of road by Rowtor walked to High Willhays first then to trig. Great views brilliant weather. Great views until caught in snowstorm! 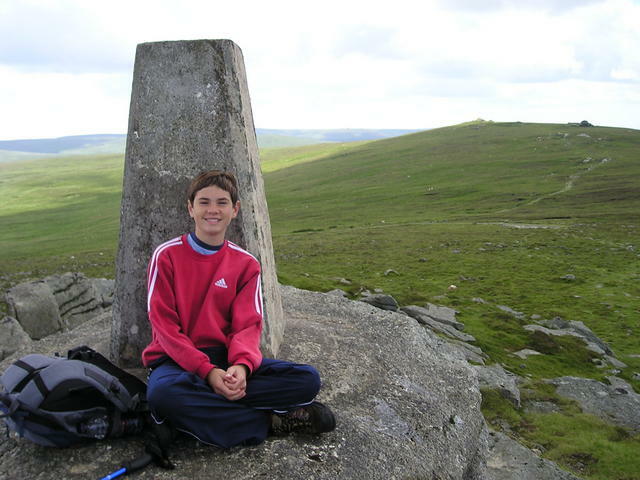 Easy walk from Meldon Dam. 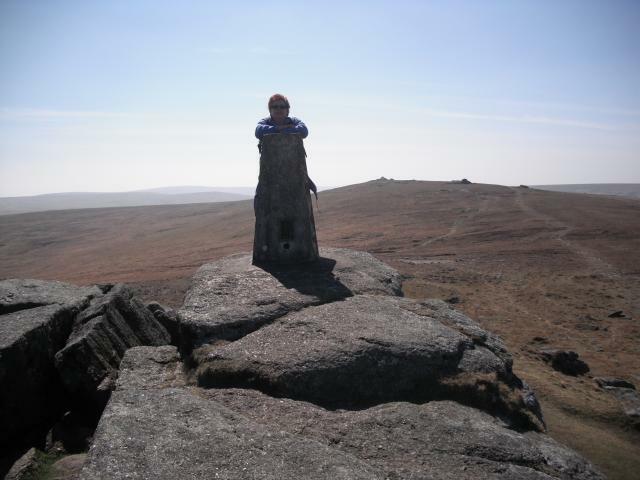 Climbed up from Meldon resevoir car park steep climb but worth it fantastic views. Stunning views to the north, visited whilst geocaching. Historic County topping and visit to Cranmere Pool. Hot climb up from Okehampton camp....army huts on top. 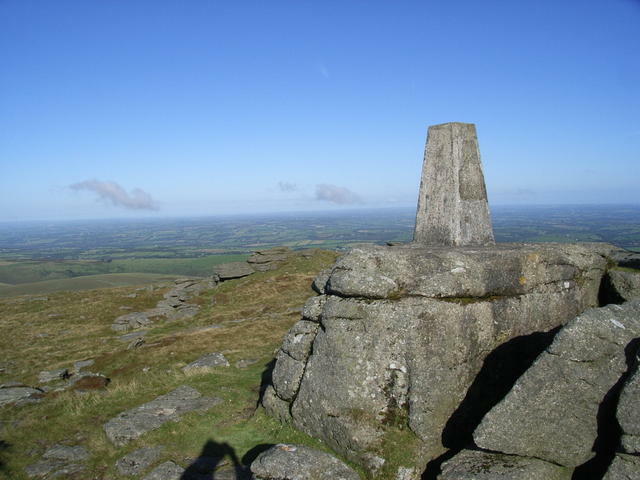 Great views of Northern Dartmoor - on a clear day! Have been here before but logging a revisit with Shorty & Extra Shorty on the way back from a visit to Devon's county summit. 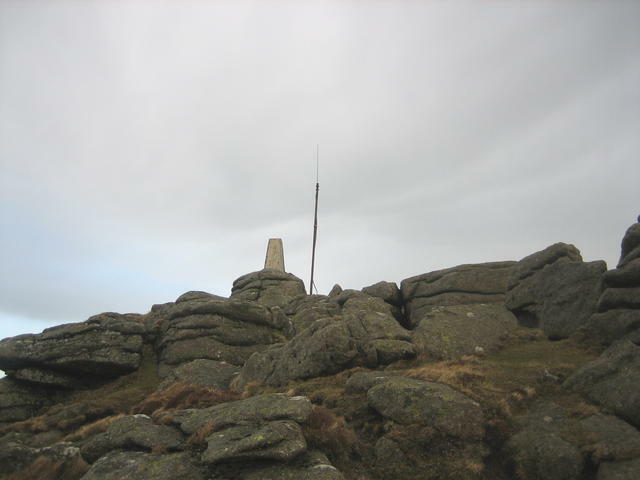 The flagpole is bending a bit, the hut was uninhabited today and could see quite a long way though the weather was rather overcast. Walked up on the track from Okehampton Camp. 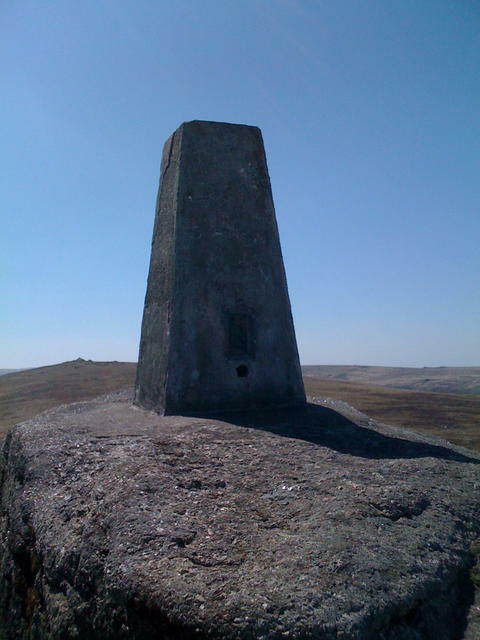 Walked up in good time from Meldon Car Park. Wind rising as we reached the pillar. Aerial probably something the army uses. Views not as good as last visit, which was 20 years ago - then the Saunton Hotel could be seen on the south side of Baggy Point on the north coast. 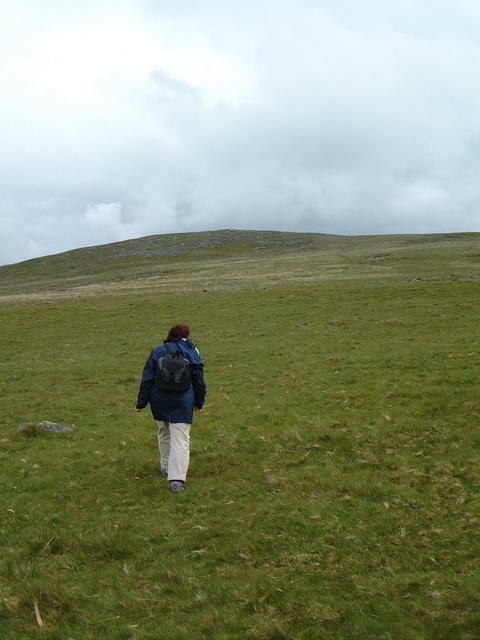 Onwards to the Marilyn County Top - High Wilhays. 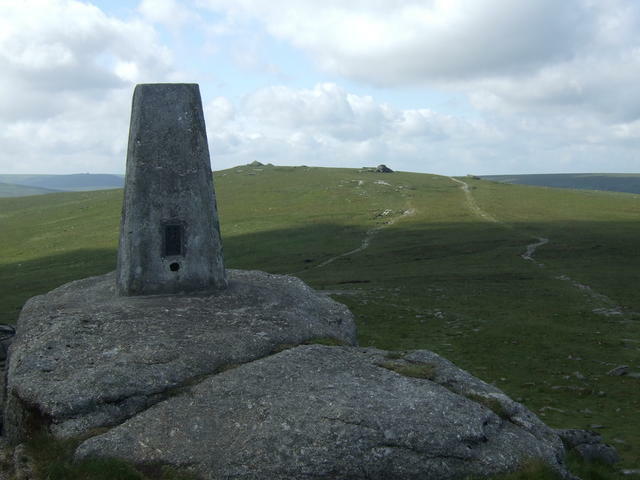 I parked at Meldon Reservior and walked over to this via West Mill Tor - then off to High Willhays to bag the county top. 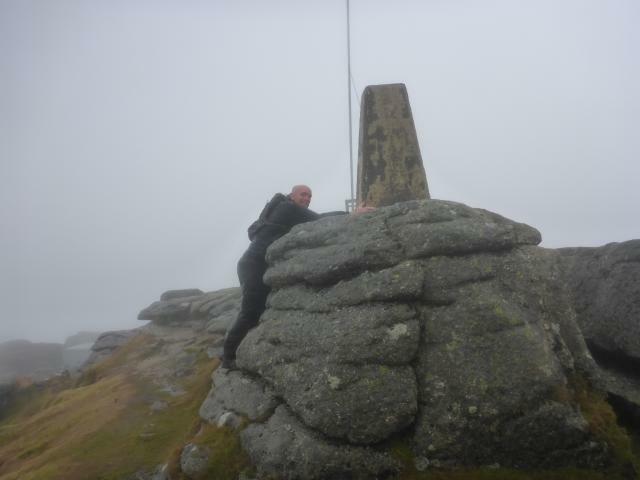 A steep and fairly tough walk, but well worth the effort - this is one of those with a wow factor. Two dam construction pillars if you park at Meldon Resr. tried to list them to no avail :(. with Jamie plus Steve and Penny Grove from Totnes. 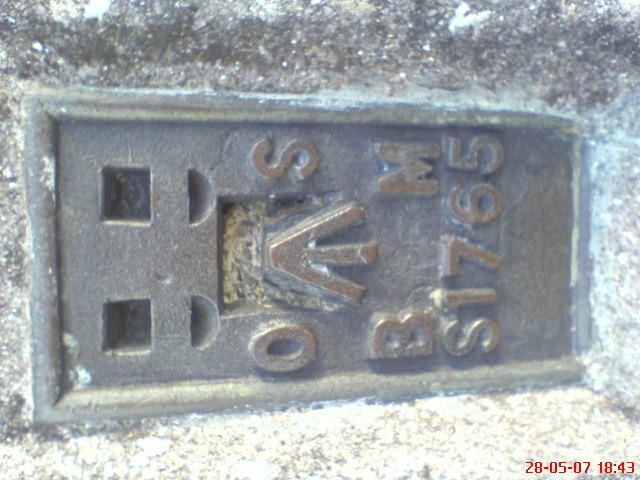 One of Jamie's birthday series of flush bracket numbers, his 66th birthday. Maybe I should come back with him to celebrate when I'm 112!!! 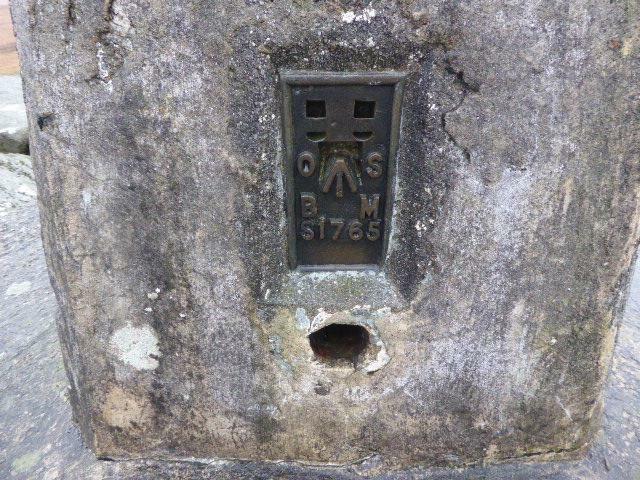 Found whilst out with Baconbutty letterboxing. An Excellent day out. 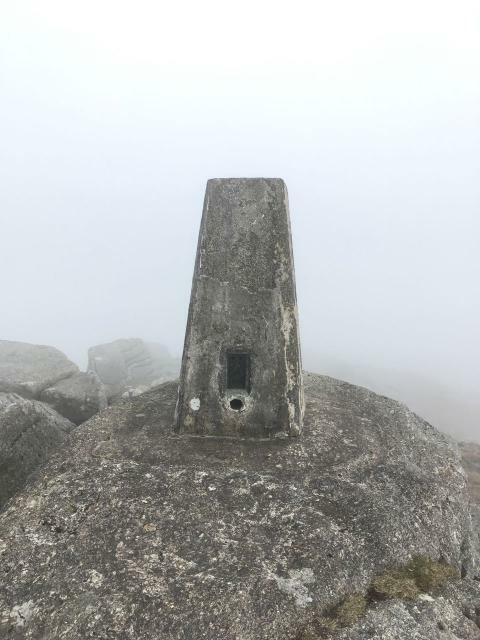 Boy it was grim up here today - so misty I could hardly see the flag post from the trig point and horizontal rain that was partly hail and stung my face like a sunovabytch. Another open spider - this one has a camera lens cap in it and some other unidentifiable junk beneath that too. Great location high on the outcrop. 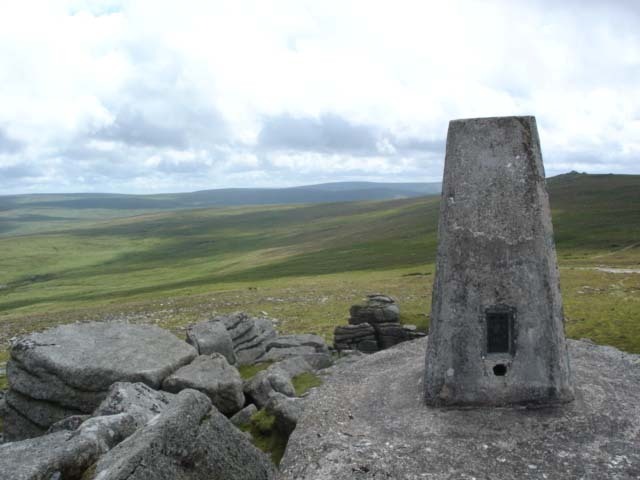 Walked along to High Willhays to bag county top which was much less interesting. 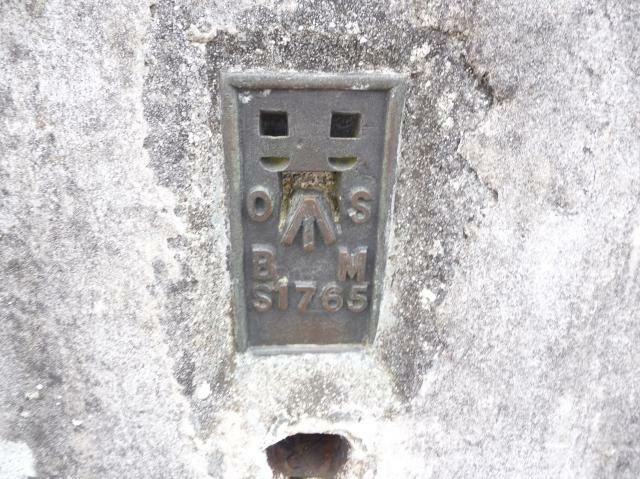 Anyone else noticed the two wannabe trig points either side of the dam at Meldon? 1st day of a weekend trip with the Imperial College Fellwanderers. 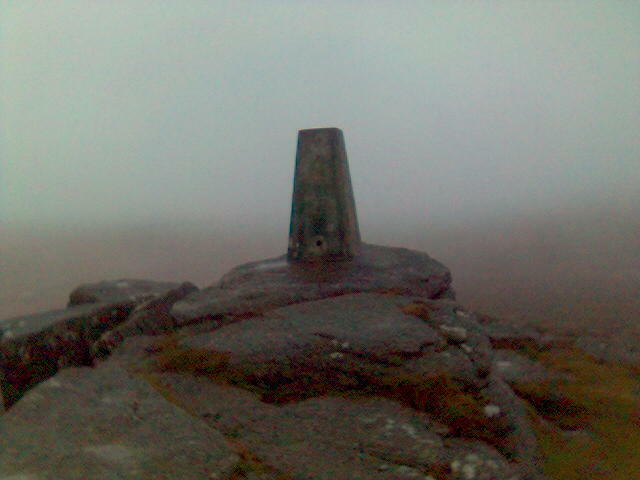 Walked along ridge under cover of cloud from Black Tor and High Willhays. 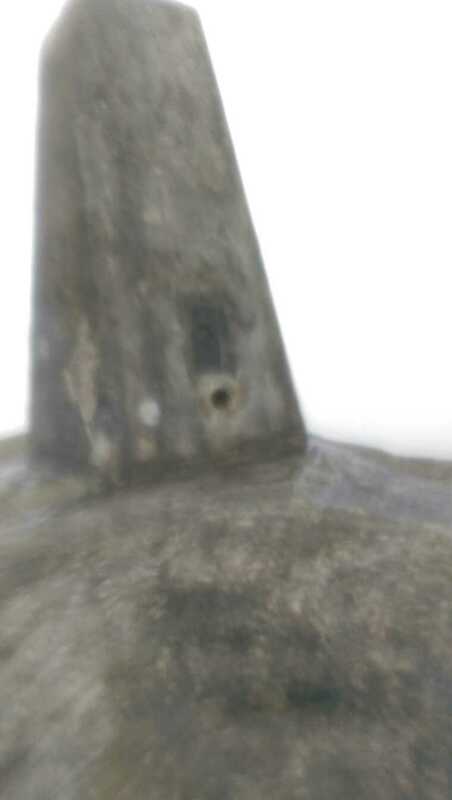 Unfortunately no view from Yes Tor itself. Good views over Okehampton, where we stayed at the YHA, a converted train station building (station still in use) and lower ground to the north, and also across Dartmoor to the south and west. Weather was good for us. 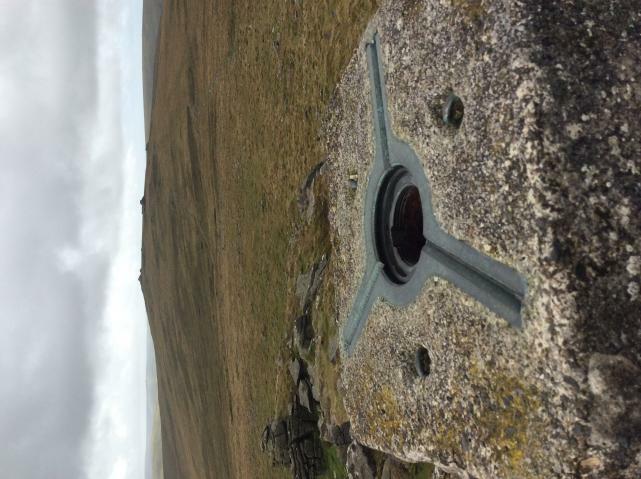 Having checked the military ranges were open for access, we walked up over Longstone Hill and continued on to High Willhays, returning via Black Tor - all very impressive country. 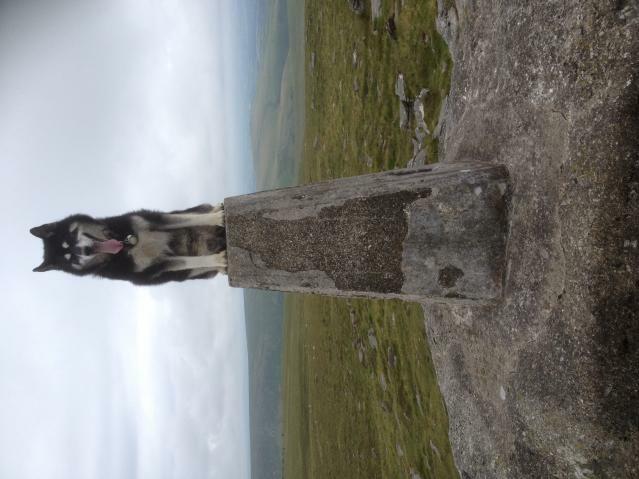 Trig was in good condition also. nuttalls walk from the resr, great walk in fantastic conditions, good views. 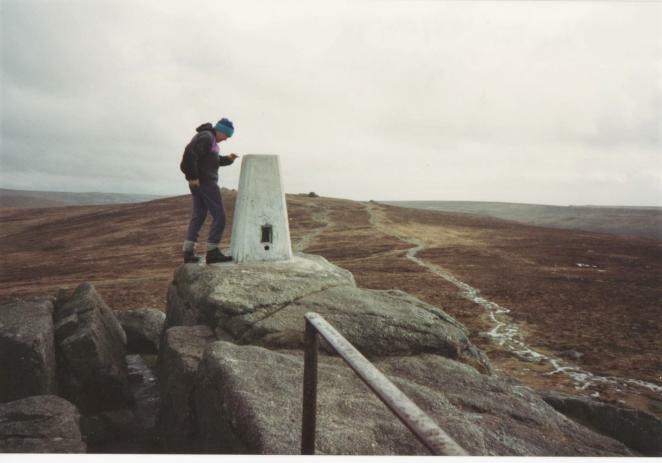 Logging the trig although it was an added bonus, I was up Yes Tor looking for the geocache! 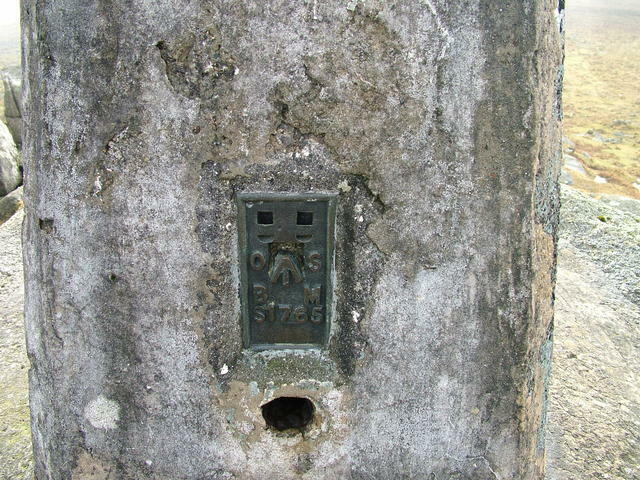 Faces have been covered with a concrete screed which is delaminating a little, but pillar itself sound. 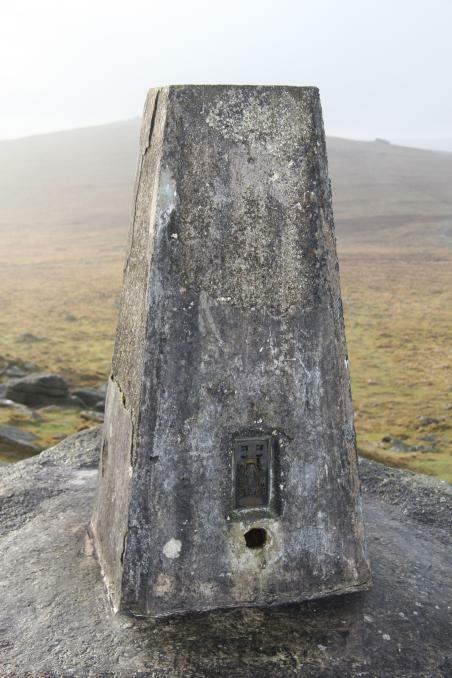 No cap or plug, on fine tor, much superior to the 2m higher High Willhays which I also visited. Closest legal parking is SX591912: track is very rough beyond. From Meldon reservoir on a warm and sunny morning but still damp under foot. 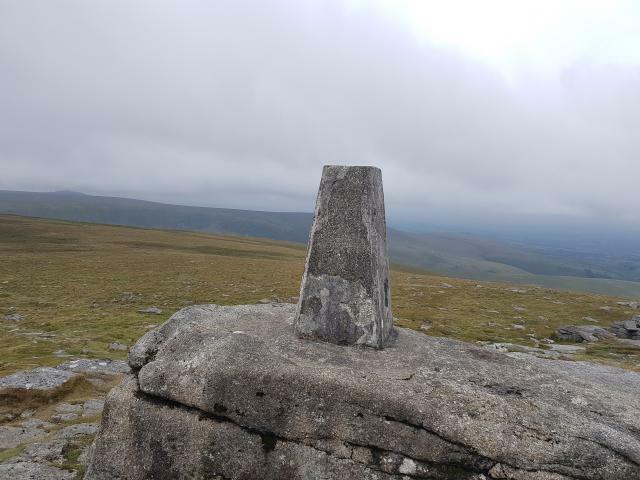 Prefered Yes Tor to Marilyn High Willhays. 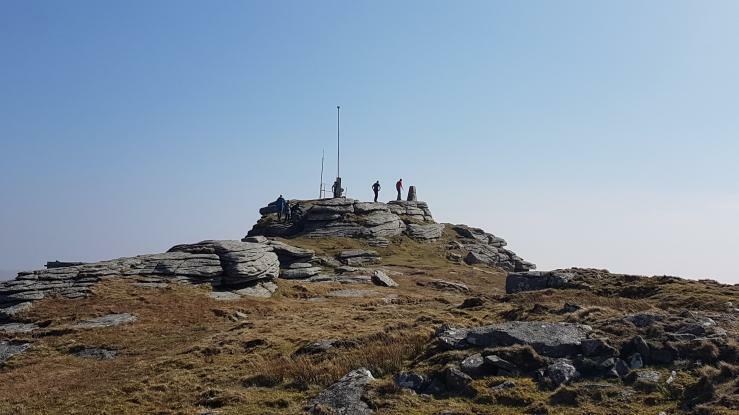 Lovely walk from Meldon Reservoir, returning via High Willhays, Cranmere Pool Letter Box and Black-a-Tor Copse Nature Reserve. Glorious day. 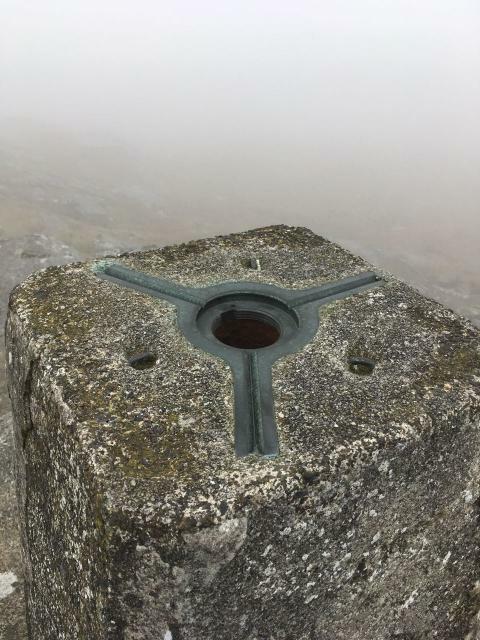 Not another person in sight when we got to the top. 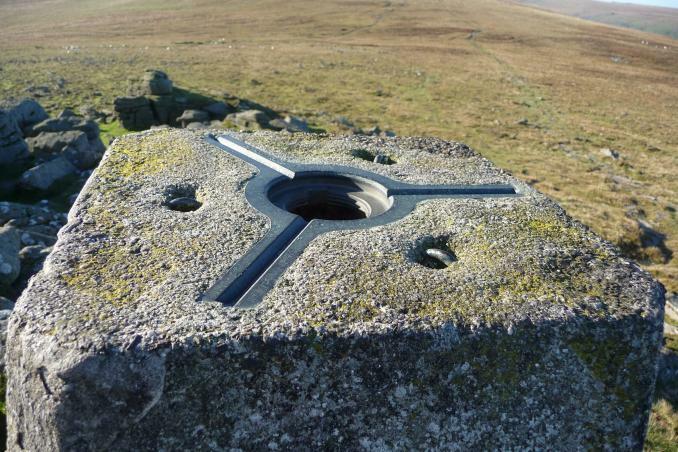 Walked up from the ring road, gorgeous day with fantastic views all the way out to the dishes at Morwenstow. 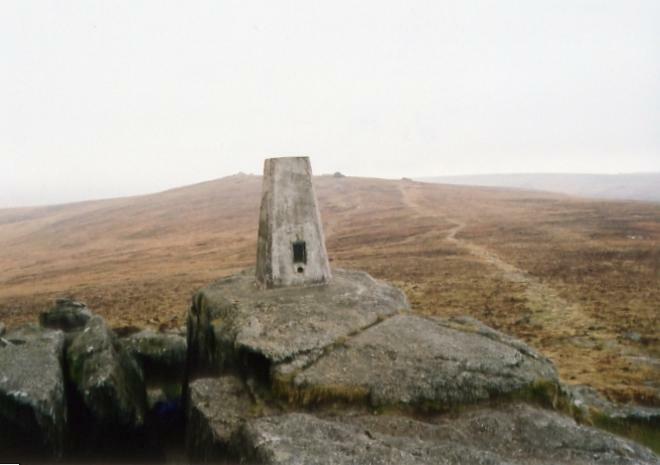 A challenging walk up from Okehampton. Whilst I was there I also paid a visit to High Willhays nearby. 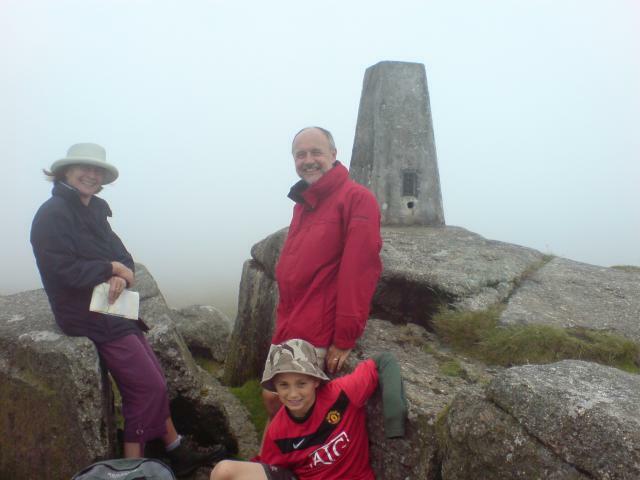 I lived in Devon for 18 years, so it's about time I did its county top! 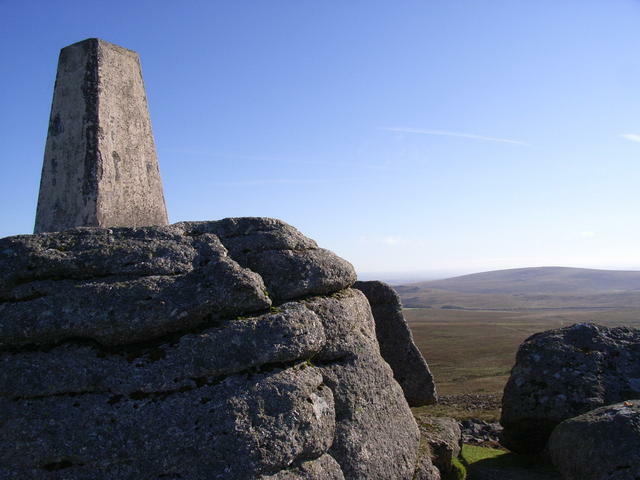 Lovely views on a clear day - worth the climb up here. Parked at Meldon reservoir. A few spots of rain as we started out. 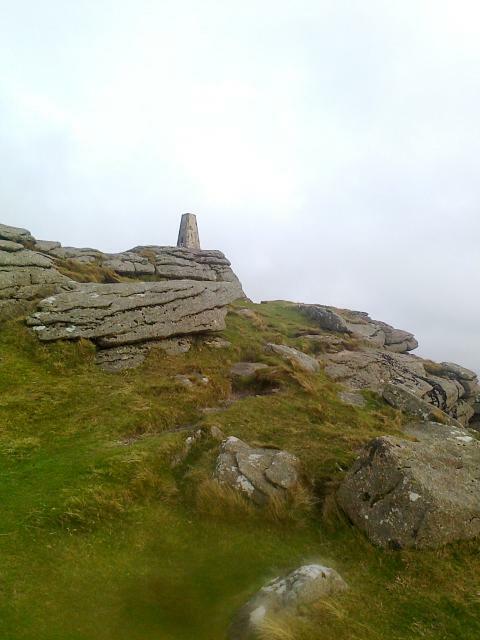 A slow trudge up the Tor through some soggy ground took 1hr 15mins (Height:2030ft). Enjoyed the view for 10 mins then walked to 'Hi Willys'. 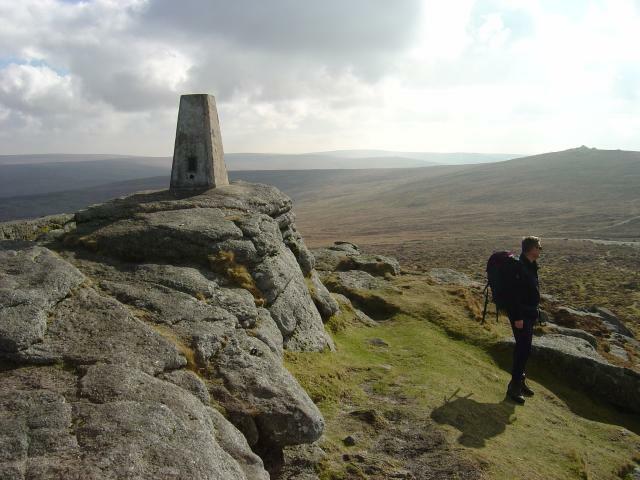 Had lunch and returned via Black Tor. 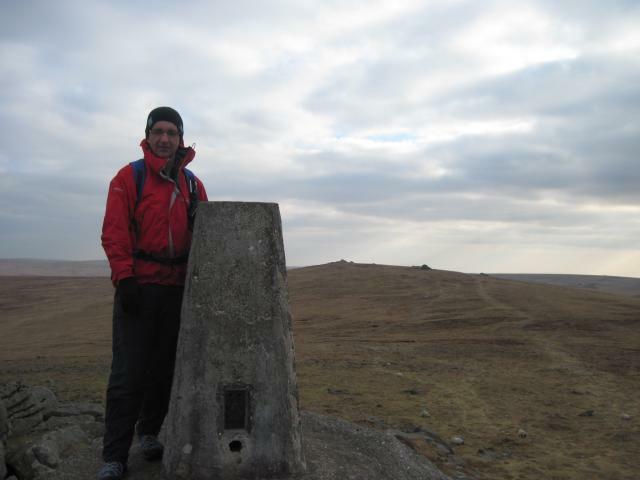 Chris at Yes Tor Trigpoint with High Willhays in the background. 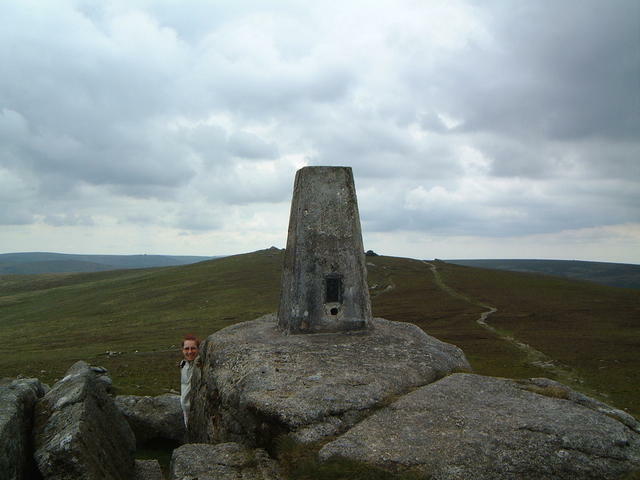 Great location on the tor with good views. 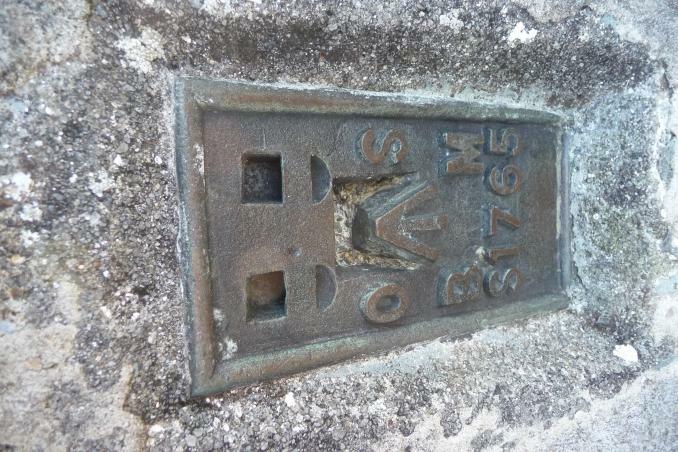 Found on a long Geocaching walk. Parked at the Meldon Reservoir carpark and walked up, glad it's a saturday so didn't have to worry about firing. Was really suprised at how unspoilt the area was considering it's use. 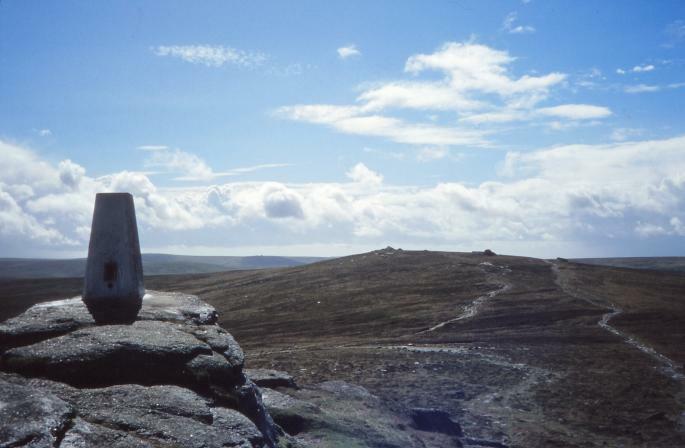 Carried on to High Willhays and a few other Tors. 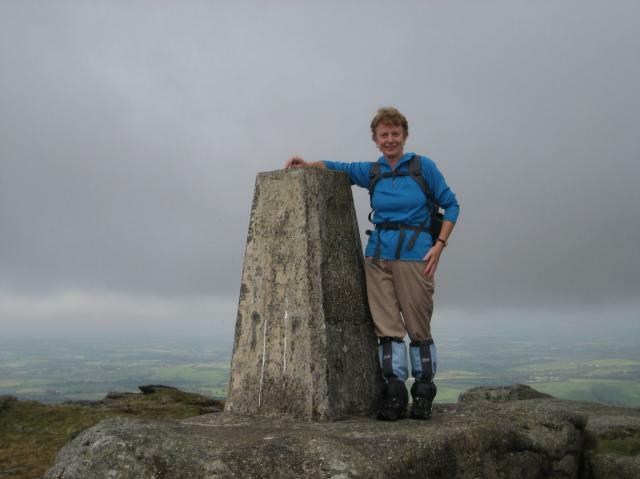 Excellent views from Yes Tor, and an interesting walk and location. 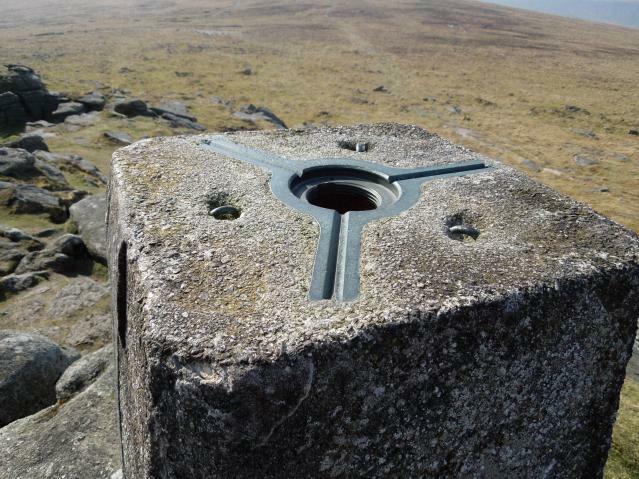 Fantastic views from the trig pillar. Third visit, first on 27.7.83. Only ten more "Bridges" in my third round. 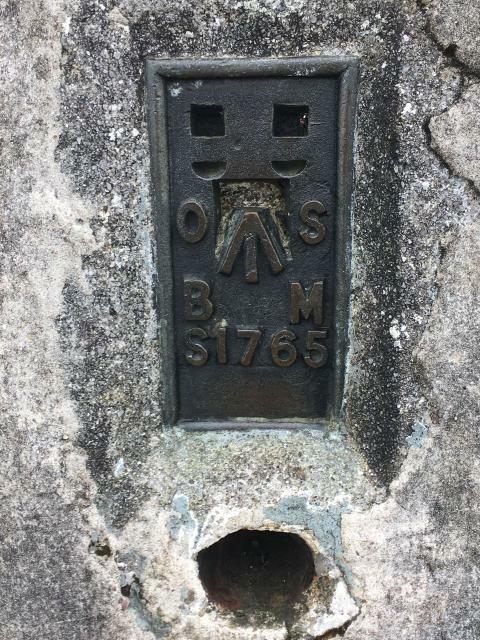 Must look up which ones have a trig on top. 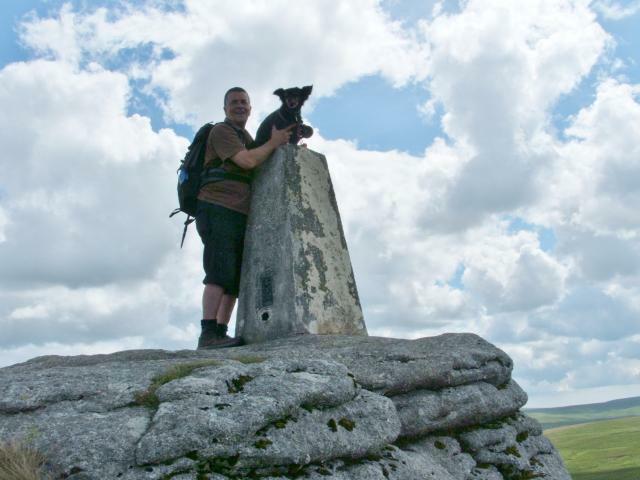 Today walked up from Meldon Res & continued over High Willhays to Cranmere Pool then to a couple of other trigs. Lovely day. 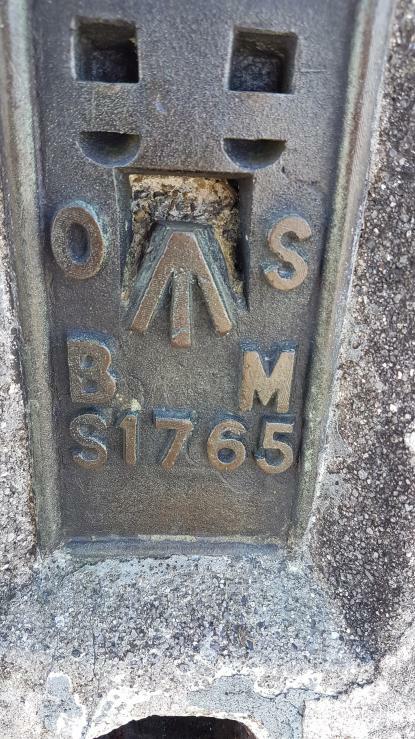 Visited WHILST letterboxing on a nice day with good views. FB and open sight N side. Allen key cap in place. 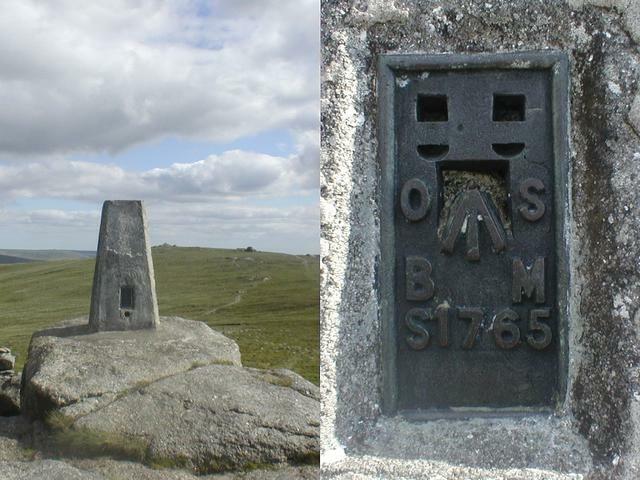 2nd highest point in Southern England the highest is only 1km S. I guess the OS needed good views to N for their reason for putting the trig on Yes Tor. 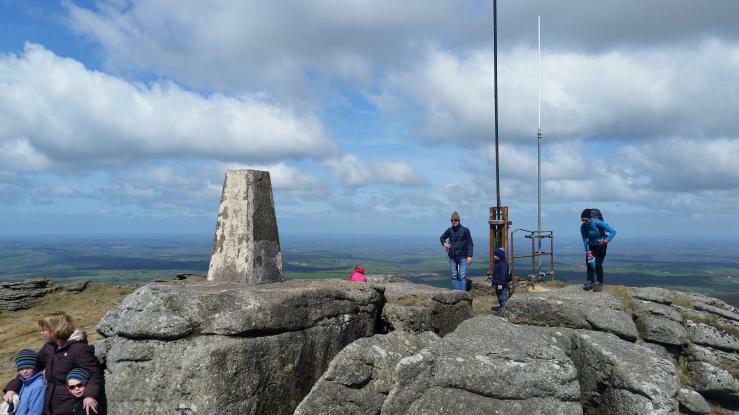 Good views all around, but noted that the ray to Cosdon Hill was obsured by cloud. Trig all in tact. A wonderful December day for walking, mild with little breeze. 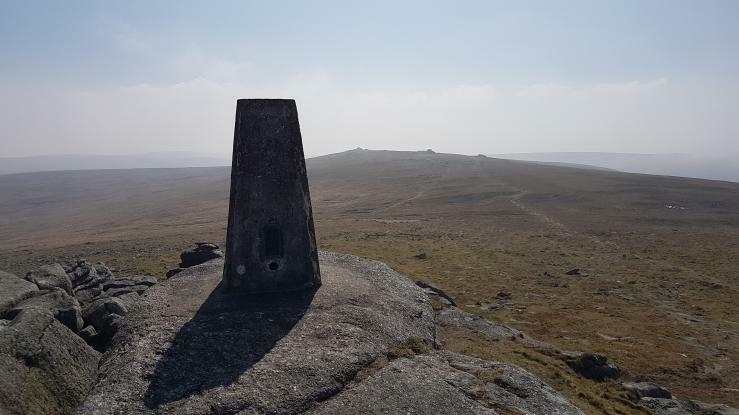 My first real walk on Dartmoor and an excellent one it was too starting at Meldon Reservoir and from Yes Tor going south to High Whillays and in a horseshoe around to Sourton Tor trig, kicking myself for not spotting there is a trig on Great Links Tor which I walked very close to. slightly startled when a friendly agent appeared from behind pony stable near summit pllar and passed on information. The range was being used for some military exercise, very bizzare to be allowed to walk through as no live firing was in progress, although soldiers were clearly on exercise with lots of bangs in the near distance. good job no firing. met a poor blind lamb near the top surviving ok, i suppose its surrounded by food. 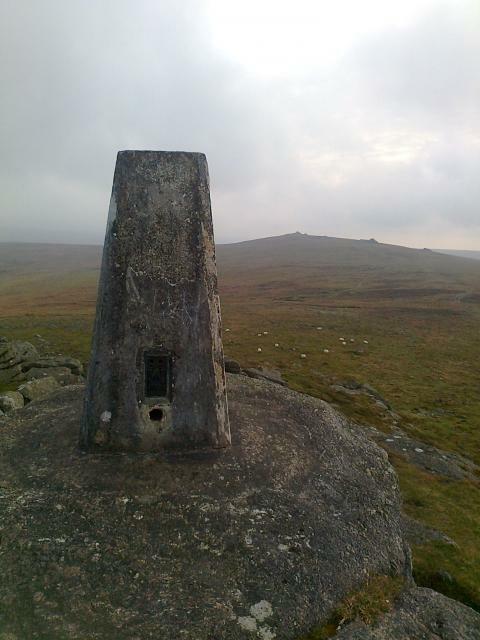 Went on to high willhays- the true top, then carn galver for sunset! 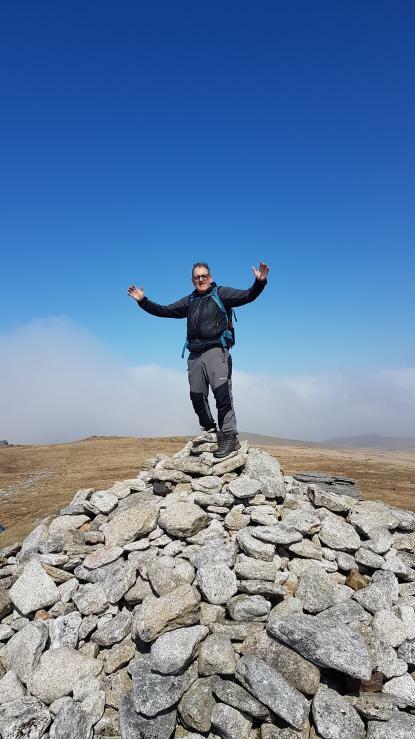 Ascended from Meldon Reservoir (where I'd slept in the car after making the long overnight trek down from Yorkshire) on my way to bagging High Willhays. 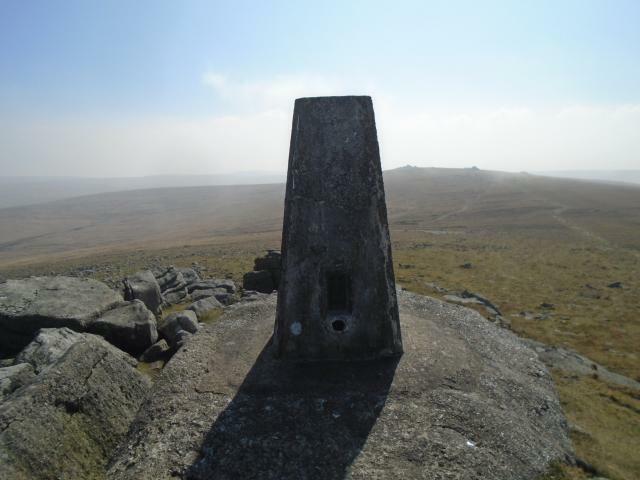 Highest part of Dartmoor with the views you'd expect. thick mist, cold and dank. Thought I would have a snack in the nearby hut, opened the door and a huddle of silent soldiers gazed back at me! so ate in the damp. Had carried radio up with me to High Willhays so as to not miss Archers. On way down was very relieved that Joe Grundy had been found alive in a ditch ! 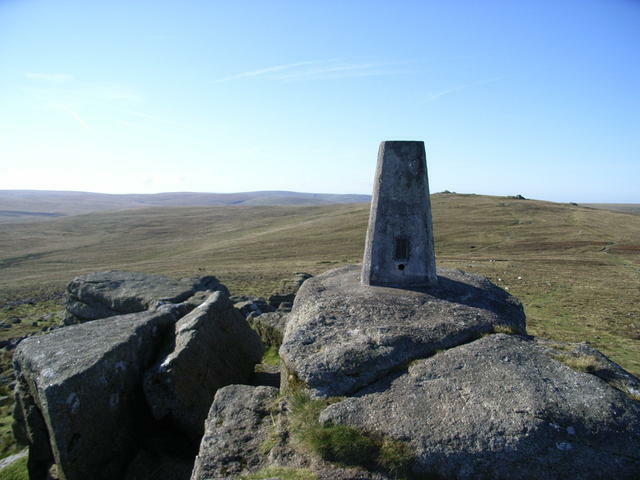 Visited, along with High Willhays from Meldon Reservoir. 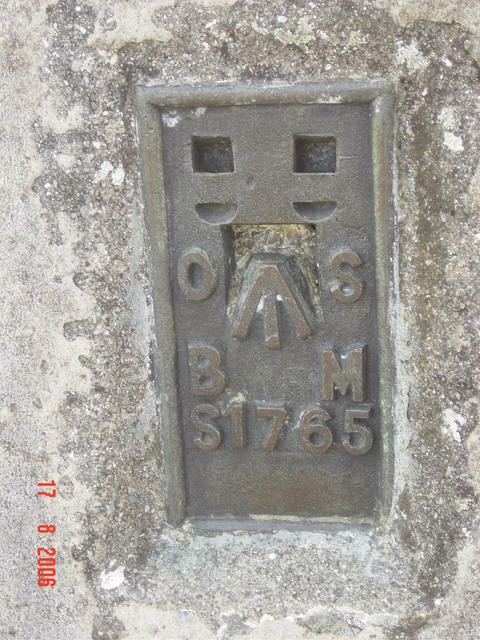 Re-visited on 07.09.02. 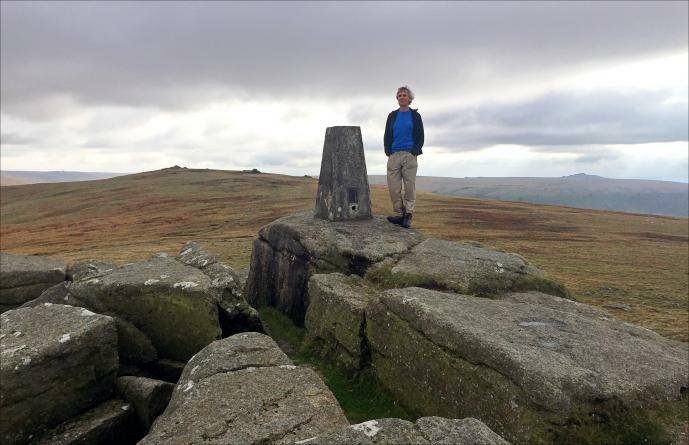 Circular walk from Okehampton via Meldon, Yes Tor, Dinger Tor and Belstone Tor. 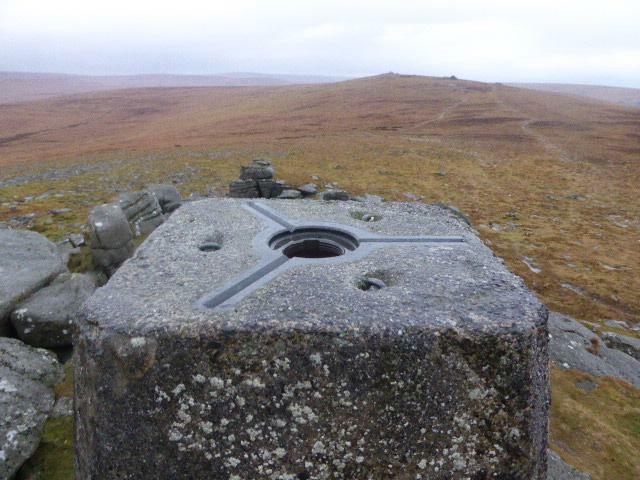 Along with a tour of the tors roundabout on a very windy day. Yes Tor TP and view to Willhays.